Emphysema is basically a medical condition involving damage to the alveoli of the lungs. Emphysema is basically a disease of the lung and is mainly caused due to smoking. Non smokers can also be infected with emphysema, if they are exposed to the cigarette smoke regularly for prolonged periods. Environmental pollution, is yet another reason due to which a person suffers from emphysema. The smoke of the cigarette contains certain substances that cause the alveoli in the lungs to decrease in size, thus causing shortness of breath or difficulty in breathing. Emphysema causes permanent and irreversible effects on the lungs of the person. However, emphysema is a disease that progresses very gradually and slowly. The symptoms of emphysema are exhibited only when the disease has advanced. Reducing and gradually stopping the daily smoking of cigarette, is the only solution to stop emphysema. First and foremost symptom experience by people suffering from emphysema is breathlessness or inability to breath properly. The person is unable to perform the daily routine functions like stair climbing, eating, exercising, walking etc, without experiencing shortness of breath. The overall physical fitness of the person decreases. With advance in emphysema, the person starts having difficulty in breathing even while making small efforts like talking etc. 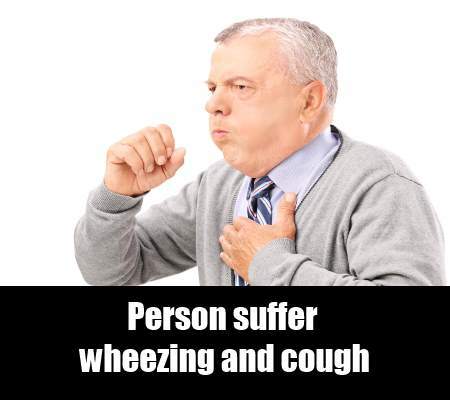 Wheezing is yet another symptom exhibited by the people suffering from emphysema. This wheezing may or may not be accompanied by production of sputum or cough. The patients can often find relief from wheezing by using inhalers. The cough however, remains for long time even after the person stops smoking. The cough is often chronic and makes talking and sleeping very difficult for the emphysema patient. Emphysema patient also complains of tightness and pain in the chest during long bouts of wheezing and cough. The heart beat of the patient is also accelerated. In Emphysema patients, it is often seen that the nails and lips start turning blue due to lack of oxygen supply in the blood as the lungs are not able to function properly. The patients of emphysema, often develop chest resembling a barrel as the air is trapped within the lungs and is unable to come out, due to improper functioning of the air sacs. 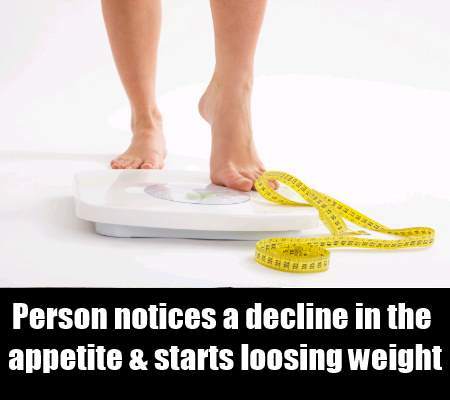 The emphysema patient gradually notices a decline in the appetite and starts loosing weight. Most often this weight loss is not intentional and is a side effect of emphysema. The people infected with emphysema, also suffer phases of depression and are prone to over anxiety. The people suffering from emphysema, also tend to tire very easily and gradually become weak. They are lethargic and feel drowsy the whole day. Over a period of time, the emphysema patients also become less alert mentally and have slow reflexes. Due to overall weakness of the body, the patients have reduced stamina and sexual performance. In come cases, emphysema patients also experience swelling of the legs, arms, feet, ankle etc. This swelling makes movement very difficult for the patient.